Even though now I still struggle with depression from time to time, there are different things I do to help myself feel better. The one that I turn to the most is music. It may sound silly to some people, but it's something that in life I felt like I could rely on, even when I thought I had nothing or when I felt as though I had no-where to turn. There were specific artists that I'd listen to, because their lyrics really spoke to me and these were Thirty Seconds to Mars and The Wanted. Both artists have very different sounds but for me, the words speak more than the sound. To me, music is more than just something that sounds appealing to me. Music has meaning and that mainly come down to the lyrics themselves to me. I feel like I am fortunate and lucky enough to have seen both The Wanted (numerous occasions) and Thirty Seconds to Mars live, and it really put things into perspective to me. I have met The Wanted a few times, and they're honestly really down to earth. I know they're not together anymore, and their split really upset me. Not in a fangirl sense, but because their music had helped me through so much in life. I felt like I could talk to them about my struggles and I thanked them in person for their music, because it helped me when I felt like nothing else could. It sounds cheesy and fangirly, but I don't care. Digging the fringe on 13 year old me (not really)! Jay casually using my phone to talk to my friend who couldn't be there. "My mother crawled out of the muddy banks of the Mississippi with a fistful of food stamps in one hand and two kids in the other on a mission to make a better life for herself and for her kids." This stood out to me for numerous reasons, and one of them is that it showed to me that my mother has given so much to ensure that life for myself and my older brother was as good as it could be - so I found this really relatable. I also relate to Jared on the whole 'being a dreamer' front, as when I was a child, I had so many dreams and aspirations. I wanted to be a swimmer, I wanted to be a dancer, I wanted to be a singer... My mum always told me that I could do and could be whatever I wanted. The thing was, she really believed in me. Some of the lyrics/songs in particular from both these artists have helped me, so I'll share them below and tell you why they've helped. Also all the songs will be linked below if you fancy a listen! City of Angels: "One life, one love, live." This bit taught me that I only get one life, and I should live it to it's maximum potential 24/7, 100%. Time and life is so precious, and it's the things we don't do that we regret. I want to enjoy life and not live everyday in dread that something is going to go wrong. Closer to the Edge: "I will never forget, I will never regret, I will live my life." When I let people walk all over me and let myself be treated as a doormat, this song helped through and also helped me to try and stand on my own two feet. It taught me to not live with regrets and to just get on with it and live my life everyday, as it comes. Do or Die: "We dream out loud." In life, I want to help make a difference. I mainly want to do it in a mental health perspective, but it's my main goal in life. I want to make a difference to someone, or something. That's the goal, and that's the dream for me. Golden: "And we try, and we fall, and we live another day." Whenever I tried to feel better, I always got knocked down either instantly, or a few hours/a day later. 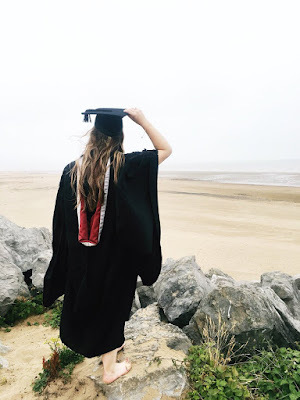 I felt like giving up a lot, but I realised that in life, I'm going to get knocked back and life is a whole 'one step forward, two steps back' kind of thing. Nothing ever goes perfectly, or 100% smoothly, so I can't expect it to. 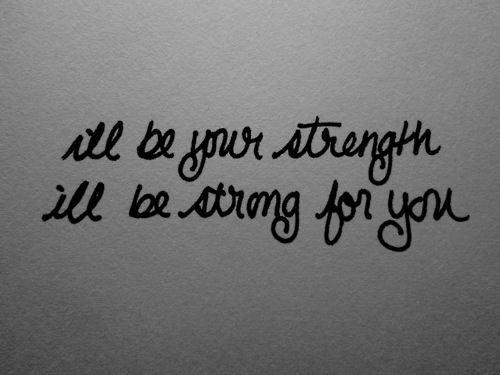 I'll Be Your Strength: "This is not gonna last forever, it's that time where you must hold on. ", "We can stand so tall together, we can make it through the stormy weather." This was one of the biggest things that really helped to change my perspective on things. I knew I was struggling so hard, and I couldn't find it in me to let my voice be heard and to tell people how I was feeling. I'll Be Your Strength is a song which I still listen to today when I'm feeling low, and it really reassures me that I'm not going to feel the way I do forever. It also taught me that I'd find someone one day who would give me the time of day and help me out of the pit I felt like I was stuck in, but also someone who would love me despite my depression and anxiety. Warzone: "I throw my armour down, and leave the battleground for the final time", "I'm running from a warzone." I know this song wasn't about how I was feeling, as it's a song about someone cheating on someone else. However, the lyrics I mentioned above basically made me think of everything I was dealing with emotionally and psychologically and how much I wanted to walk away from it and help myself get better. 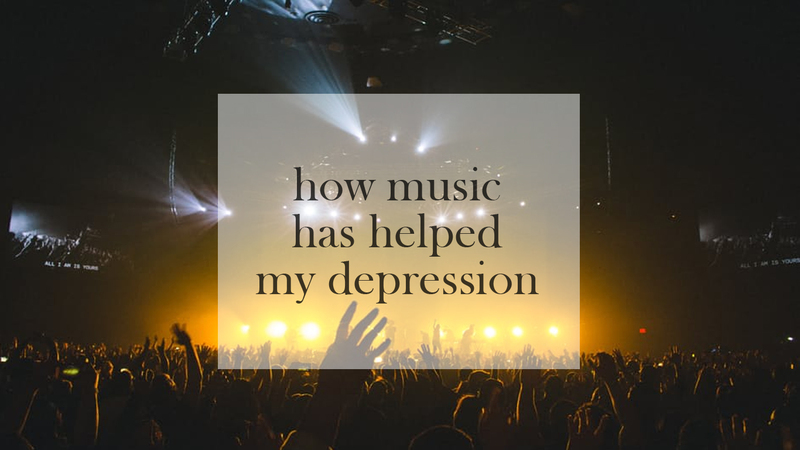 I asked my Twitter followers if they listened to music as a method of helping them through things, or to try and make them feel better and I got a few responses which they have agreed to let me use for this blog post. "Music has helped me so much, especially before I asked for help with my mental health, music was my go-to thing to calm me down, it still is now actually. I find it so relaxing to just lay in bed, listening to music. I also listen to rain sounds, as that is actually one of the only things that calms me when I'm mid panic attack. I also find it fun to find new music on Spotify, as I can spend hours finding new music, and it distracts me from overthinking and horrible thoughts." Do you listen to music when you feel down? Let me know in the comments, and let's have a discussion! Music soothes the soul, as they say. I'm so glad music has helped you heal. I've heard that, yeah! Thank you, I'm so glad I could find something which can help! Music really does have the power to change your mood. I have a happiness playlist saved for when I'm feeling down. It honestly really does, and I feel like sometimes people underestimate its mood changing abilities! I have 2 saved on my Spotify to help me feel better, and one is more of like cheesy/dancey things to make me want to get up and move. I'm so glad you have a playlist saved for when you feel down, I hope it does its magic! Isn't music such a beautiful art!? Its so relateable for so many of us whilst being versitile too! I know when I'm down music can always lift me back up, I love how we can all interpret lyrics in our own way! Its great that music has helped with your depression so much! Most definitely! I adore the quote 'Music speaks when words don't', and I still love it to this day. Even if it doesn't help massively to some people, I does work it's magic to some degree. Me too, I love how lyrics can be so versatile and mean different to every single person. It's truly magical! I'm so glad that music helps you to feel better! Charlie Puth is good for letting emotions out, in my opinion - same as Ed Sheeran. I've loved The Wanted since they first came about to be honest, I still love them now! They're so good live, I'm so happy I've had the privilege to have seen them! Music is such a great healer! Like when you're going through a breakup and you find the song with the lyrics that describe exactly how you feel and just belt them out at the top of your lungs. I still love listening to all the emo bands from my teen years (Fall Out Boy, MCR, Brand New etc) as it just takes me back to that time where I felt so hopeless and reinforces the idea that I've come so far since. Fall Out Boy and MCR - two bands I still love today! Totally agree with you though on the whole 'music is a great healer' front, it truly is!